Pores are an important part of the skin. It allows the skin to breathe and stay hydrated. Aside from that, it is also responsible for eliminating toxins out of your body. However, pores can get bigger due to dilation and clogging. People with oily skin are more prone to open pores than others with different skin types. 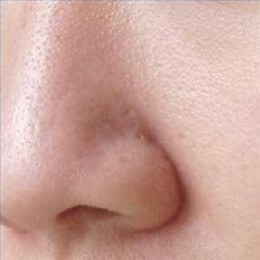 Open pores can usually be seen in the skin of the nose because it is the part that has the most oil glands. This is the reason why people with this type of skin are more prone to open pores. In order to have a healthy and flawless skin, it is essential to use cleanse tone and moisturize your skin regularly. Large pores can be inherited. If your family or parents have big pores, there is a big chance that you can inherit it. The excessive oil production of your oil glands can cause your pores to clog. 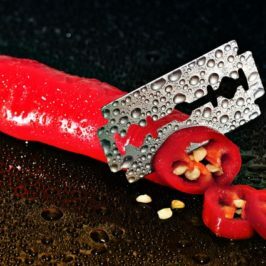 This could inflame the inside of your pores. The inflammation and excessive sebum secretion can enlarge the walls of your pores. Eventually, it will reduce the elasticity and enlarge the opening of your pores. Excessive sweating can unclog your pores and lead to pores enlargement. The excessive secretion of oil from your sebaceous glands can accumulate dead skin in your pores. This causes acne to swell and blackheads to appear. Old people tend to have a decreasing activity of skin renewal. It often loses its elasticity and its tightness which leads to the enlargement of pores. When the natural skin protein decreases and the skin’s complexion is decreased, the elasticity also decreases. Blackheads are usually the end product of open pores. The pores are made visible due to the dark color of the blackheads. You should wash your face and remove your makeup before going to bed. Not cleaning it appropriately can cause open pores. You should also protect your skin from the heat of the sun to avoid big pores. This is because excessive sun exposure can damage the natural collagen on your skin. It can also decrease the skin’s elasticity and increase the size of your pores. You may be using makeup to hide your large pores, but using makeup can also cause the pores to enlarge. You should wash it off to avoid the makeup from settling in and highlighting your pores. In fact, cosmetic products are also a big factor in accumulating dirt and oil. The dirt and oil can make your pores more visible. Factors like changes in hormones, smoking and improper diet can lead to open pores. In fact, hormonal changes are one of the most common causes. Smoking can also lead to the dehydration of the skin which leads to enlarged pores. You should also be aware that you actually cannot close your pores. In fact, they should remain open. This allows your skin to breathe and allow sebum as well as other materials to be excreted from your skin. Remember that you can only minimize the size of your pores so that it will not be visible. This can only be done by removing the trapped debris in your pores which lessens the visibility of the pores. Another thing is that steam cannot open up your pores. The steam can only help you remove the trapped debris in your pores to make it clear. Make sure that you use products that are scientifically tested to cleanse your pores to avoid skin damage. 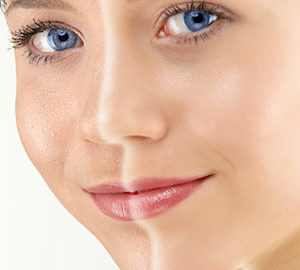 Here are some advance technology remedies that can help you tighten pores on face permanently. This is a beta-hydroxyl acid that targets the sebaceous glands and decreases keratin plugging. This also helps the problem of open pores on face. Nowadays, most exfoliants and toners have salicylic acid (this one is my favorite). It should only be applied if your skin is producing excessive oil. Take note that dry and sensitive skin types are not suitable to salicylic acid. Retinoids are available in topical and oral treatments. This can help reduce oil secretion and minimize your pores. However, you should only use retinoids after you have consulted a dermatologist. Some people who are looking for a solution to tighten their skin pores use lasers. Lasers promote the remodeling of collagen and are used to reduce the aftermaths of acne scars. However, its effectiveness in reducing the size of pores has not been proven yet. TCA cross is an effective and simple way to minimize pores which can take 7-10 days to show effect. The process includes using a toothpick to apply tri-chloro-acetic acid application to walls of open pores. Doing the TCA cross will eventually create a black color on applied pores that will fall off 7-10 days after application. Derma rollers remodel the collagen which eventually decreases the appearance of big pores. 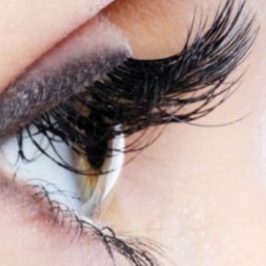 However, laser treatments are more effective than this technique. This is a light-based device which helps rejuvenate the skin. AFT’s (Advanced Fluorescence Technology) natural light can go deep inside the skin, stimulate the production of new skin and form collagen. This can make your skin look fresher and brighter, as soon as this treatment is applied. This technique also promises no side effects. This technique is proven by the FDA. It reaches deep into your dermis and increases the production of collagen. Collagen helps your skin to be more elastic leading to cleaner and younger pores. Clearlift also improves skin pigmentation which leads to a more healthy skin. This technology helps the skin exfoliate on its own and promote skin renewal in a span of 7 days. Ice is an effective remedy that could be found at home which makes the skin tighter. You can use this before you put makeup to reduce the appearance of big pores. Ice can also promote circulation and helps your skin to be healthier. Get a few ice cubes and wrap it in a clean towel or washcloth. Apply it on your face for 15-30 seconds. You should repeat this procedure daily. You can also use cold water to wash your face once daily. Infusing cucumber juice, green tea, rose water and apple juice can help you get more benefits from applying ice. Almonds contain skin restoration properties. It can minimize open pores and help your skin to be smoother and clearer. Add a few drops of extracted lemon juice to the crushed almonds. Mix the two ingredients until you produce a paste. Apply it on your face for 20 minutes. Wash the mixture using cold water. You can also use almond powder with orange peel powder to make a scrub. Apply it to your face in a circular motion. Two teaspoons of sweet almond oil and mashed banana is also recommended. You should massage this mixture for 20 minutes. Steaming is one of the most effective ways in unclogging your pores. Take note that you should wash your face first using a mild cleanser before using steam. After the procedure, you should rinse your face with cold water to close your pores. Adding a few drops of rose water in a cucumber juice and applying it can minimize large pores. Make sure to wash your face after 15-20 minutes. Cucumber contains silica that helps improve skin’s texture that leads to a fair complexion. Apple cider vinegar is a natural skin astringent and toner. It does not only tighten skin but also reduce the appearance of big pores. It is also effective in restoring the pH balance of your skin. Apple cider vinegar also has antimicrobial and anti-inflammatory properties that can help treat acne. Prepare an equal amount of apple cider vinegar and water then mix them together. Put the apple cider vinegar and water solution in a clean cotton ball and apply it gently on your face. Leave the solution for a few minutes before rinsing it off. You should use this solution after you clean your face every night. Apply a moisturizer after rinsing this off. This is wonderful for your skin because it has healing, medicinal, and antibacterial properties. Honey is also rich in potassium which is responsible for killing bacteria that clogs your pores. Mix honey and yogurt then apply it on the pores. Rinse the mixture after a few minutes. Egg whites are effective in shrinking big pores. It helps tighten the skin and remove excess oil from your skin. Whisk the egg white and apply it on your face. Let the egg white dry before rinsing it off. Adding lemon juice and oatmeal can also make the egg whites more effective. Leave the egg whites on for 30 minutes. Wash your face and scrub the egg whites off. You can also cover your face using tissue paper after you have applied the egg whites. Peel it off once it has dried. 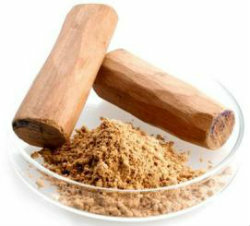 Sandalwood helps minimize the appearance of open pores and revitalize your skin. Make a mixture of 1 tablespoon of sandalwood and 1 tablespoon of turmeric powder. Infuse almond oil in the mixture. Mix them all together to produce a paste and apply the mixture gently on your face. Leave the mixture for 20 minutes before rinsing it off with cold water. Sugar scrubs which are homemade can help reduce the appearance of large pores. It can also remove impurities and excess oil and help the skin exfoliate. This is very effective in closing the pores on your nose. Mix together 2 tablespoons of sugar, 1 tablespoon of olive oil and a few drops of lemon juice. Rub or apply it on your skin in a span of 20 to 30 seconds. Wash the mixture off after. 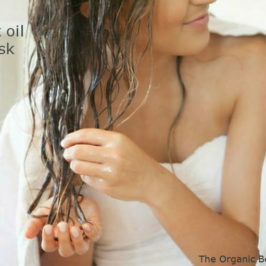 You can also add a few drops of honey to the mixture for better results. Massage it on your skin and let it on for 5 to 10 minutes before rinsing it off. Baking soda is an effective exfoliating product. It can remove dirt, excess oil and debris on your skin. It can also reduce a pimple and acne and balance the pH level of your skin. Mix lukewarm water and 2 tablespoons of baking soda. Apply it on your face and massage the mixture in a circular motion for a few seconds. Rinse the mixture off using cold water. Treat and minimize your pores by following these tips. You will have a healthy and flawless skin in no time. However, you can also avoid large pores before they appear. Have a healthy and balanced diet, use sunscreen, avoid sleeping with makeup and use the appropriate skin care product for your skin type.